Greeting loyal readers and fellow maremmas. My name is Jasper and I am a wonderful, intelligent maremma dog living with my family in the sunny Mangamahu valley, just south of Wanganui, New Zealand. I was born on the 1st December 2009 and I have been with my family since I was a little puppy. My mummy says she wanted a Yorkshire terrior and what did she get but a great white furry lump. That is not nice thing to say about ME!!!. I have a friend called Nellie and she is a beautiful maremma just like ME. Me and Nellie are good dogs but sometimes we do naughty things. Since April 2016, We have been joined here at Chez Jasper by a new friend. His name is Itai and he is eight years old. Itai is a friendly boy and is settling in well. 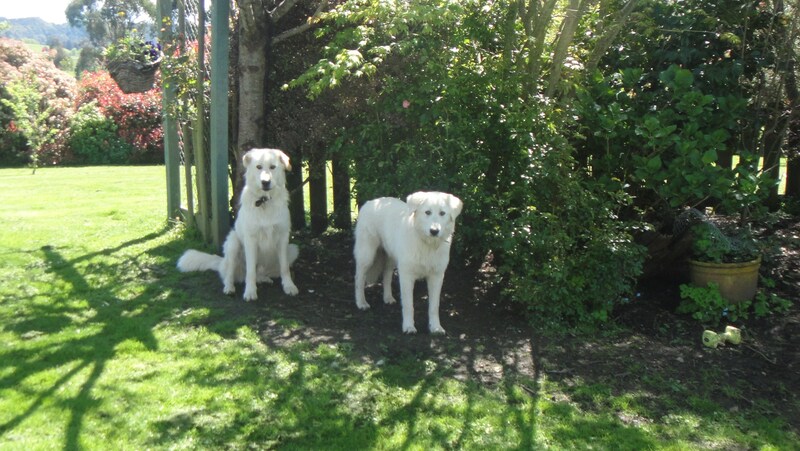 Love Jasper, Nellie and Itai, the three bestest maremmas in all the land. Me, the most handsomest maremma in all the land. Nellie, looking her adorable self. Your dogs are the most gawjuss things I’ve ever seen. I love the blog! Keep going with it! 🙂 Very talented writing as well! I like the idea of writing it in a dogs persepctive! Well, I look forward to seeing your next blog!!!!! Wow – I had to google where you guys live – never heard of it, thought it was a fantasy land but then I found out it is down under 🙂 Very cool! Wow, a breed of dog I have never seen, and so beautiful. 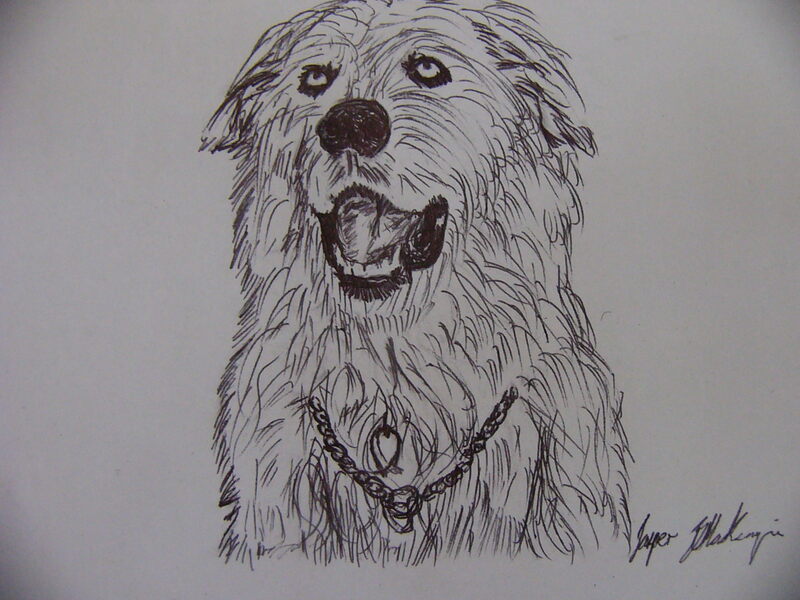 I look forward to reading the adventures of a maremma dog. Thank you for stopping by and following our blog! What a wonderful blog you have here and I must say what gorgeous dogs you are. Looking forward to reading more of your adventures. Greetings from Canada. I had to look up where Mangamahu valley is. Lucky you, New Zealand sounds amazing. I imagine you have a brilliant life of sheep and sunshine. 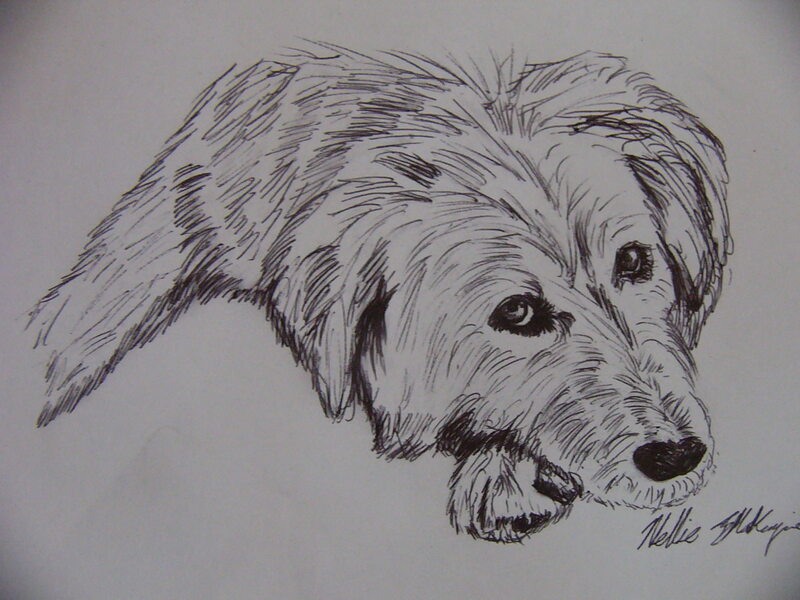 I had a dog named Jasper for many years and so that name is very dear to me too. Hi there! I’m from just outside the Vancouver area in BC, Canada. I adore the Maremma Sheepdog!! My father was from Italy and had one back home in Abruzzo. I currently own an American Staffordshire Pit Bull, which came with my fiancé. He is a challenge, but I have heard Cesar Millan say, “We are given the dog that we need, not necessarily the dog that we want.” So for now I will admire your pups until I can one day have my own. Ciao! What beauties you 2 are. We will be watching you. I was wondering if you would like to have an author at your blog. Please send me an email and I will have more details. Great blog and beautiful dogs! I’ll be following it now that I’ve found it. If you like stories about dogs, you may want to stop by http://maijaharrington.com, my new blog, where I’m posting chapters from my book-in-progress, “Funny Tails: Adventures & Misadventures in Living with Pugs.” It’s a humorous look at life with our 3 pugs + various foster pugs from Pug Rescue of NC. Readers say the book is pretty funny. Hi there, I’ve just stumbled across your fantastic blog!! Also noticed that you live around Wanganui, I live in the manawatu. I’ve been looking for a maremma for months and can’t seem to find a local breeder. Do you breed them or where did you get your special fur babies from?